New to Music Together®? Join us for a FREE demo class. 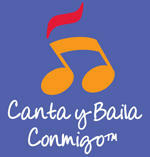 We want all of our Music Together Families to stay healthy this winter! To read about our “Staying Healthy“ policies, please click here. You will need your access code to create your account, the code is located inside your music cd. NEW! Ukulele classes now available for children, recommended for ages 6 and up. Join us for a free trial clas, you must RSVP to reserve your space by e-mailing us at mtfcjj@optonline.net or click here. Head over to iTunes to check out our brand new app "Hello Everybody" free in the Apple iTunes store. Now available for android too. 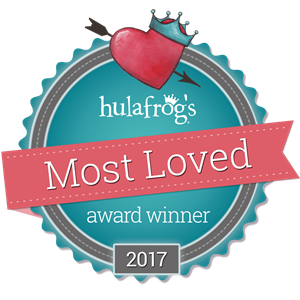 We are so excited to be named Hulafrogs' Most Loved winner for music classes in New Canaan. Thank you to Hulafrog and all families who voted for us. We are looking forward to another wonderful year of making music with all of you! Join us Saturday, at 12:30 p.m. in our Westport studio located in the Westfair Shopping Center in Westport, CT Please e-mail the office at mtfcjj@optonline.net to reserve your space. Children ages newborn through 5 years old are invited to participate. Gift the Gift of Music! Certificates are available in all denominations. Call the office at 203-256-1656 to order yours today! Click HERE to learn more about our musical Birthday parties! Join our Facebook page for interactive networking with other Music Together families. Get hooked up with playgroups, read interesting articles on early childhood music and much more! Click HERE to find out why learning in a mixed-age environment is so important. Give the gift of Music Together, great for expectant and new parents. All denominations available. Call the office to order yours today! FAMILIES: PLEASE click on the Policy link below and READ the entire page for full inclement weather policies for all situations and locations at Music Together of Fairfield County.